Clara the one-eyed Connemara finishes her second hack1000miles! Hack Ambassador Joanna Holland finishes her second 1000 miles, this time on three horses! 70-year-old grandparent and RDA teacher Pamela Bartrip reaches 1000 miles! The man behind the orange ears completes his 1,000 miles of hacking! Getting into the festive swing of things - the Christmas capers of our #Hack1000Miles riders! 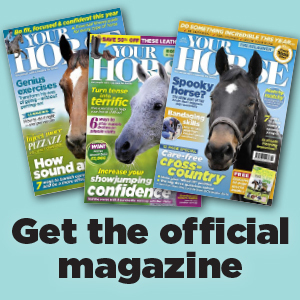 Join thousands of other riders just like you who have pledged to #Hack1000Miles with Your Horse Magazine. Sign up now and you can opt in for our regular members-only newsletter, full of #Hack1000miles content, plus exclusive offers and competitions from our sponsors. ✓ Happiness – prepare to smile! ✓ Adventure – get out there and have fun! Our #Hack1000Miles sponsors are here to support you on your journey. All five of them believe in the power of #Hack1000Miles as much as we do. Not only will they reward you with freebies along the way, they will also offer their expert advice and latest product releases and generally enhance your hacking year. You’ve committed to the challenge and signed up, now treat yourself to a top or two and show how proud you are to be part of the #Hack1000miles family. 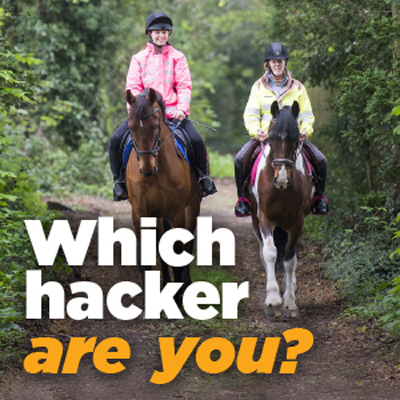 Celebrate your challenge with a subscription to the official #Hack1000Miles magazine - Your Horse! Save on shop prices, never miss an issue and receive exclusive subscriber rewards. Whether you’re a finisher, or simply want to tell the world you’re hacking 1,000 miles this year, a badge and rosette is for you - for fewer £s than a cup of coffee!